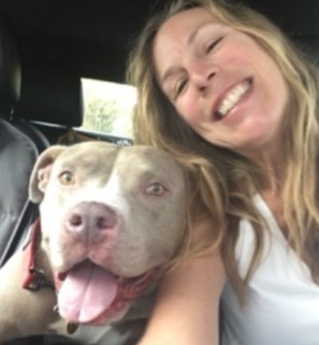 Why Adopting a Rescued Dog Is One of the Best Things You'll Ever Do. Rescued dogs are special! Adopting a rescue dog will be one of the most long-time rewarding things you can do! These dogs often come from less-than-ideal situations, and ensuring the best match for our rescued dogs with their forever families is our goal. Bringing a dog into your home is a big commitment, and we want you and your new dog to thrive in your new life together. We dont chain/tether our dogs, they are not kept in dog runs, nor are they crated for extended periods of time, and they sleep in the house. They are considered part of your family! Having a similar lifestyle is important - whether you're up every morning going for a jog with your new best friend, or prefer to chill and relax on the couch with him. So, what kind of personality is best for you? Perfectly healthy or special needs? Perfectly trained or in need of a little extra special attention? Its important to consider these questions, to ensure both you and your new adopted rescue dog have the best possible life together. It is also important to realize that your new rescue dog has been through a lot in his life - it may take him a while to become comfortable. Patience and understanding are necessary, and key to helping your new rescue dog adjust to his new surroundings - and to you - his new forever family. Yes, rescued dogs are indeed special! Once you open your heart, life and home to a rescued dog - you will understand just how special they are. Hi Im Cake! Happy, chill, kissy-face, love bug, lapdog wannabe ~ this boy is full of joy, and super sweet. Cake survived a house fire that killed his human, yet loves everyone and totally chills out at home ~ no fear! This sweet boy is remarkable, he's respectful, doesnt do crazy zoomies, stays off the furniture (until we coaxed him up for photos), wanders around the yard and then lays down for a nap! To see more, visit my page! Meet Sherman! This gentle giant has perfected the full-on-lean-into-you, and the Ill-try-to-sit-in-your-lap, he's SUPER sweet, happy, and goofy! 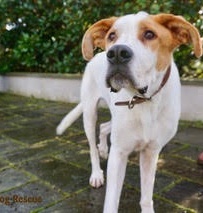 His breed mix is unknown ~ could be a Great Dane / Pointer / St Bernard.... but we know he is adorable ~ no matter what his breed! To see more, visit his page!